What Is PHP? Why Is It So Popular Programming Language? Hypertext Preprocessor, commonly known as PHP is a general purpose scripting language which has occupied the premier spot in the web development industry. It can be easily embedded into HTML which means you need not write long code as in C programming or Perl (like defining main in C, etc.) to output something. PHP is a server-side programming language. The code is executed on the server and output is generated into HTML. The HTML output then goes to the client or a browser. So, the client receives the output without knowing the underlying code. Thus, it provides enhanced security as compared to client-side scripting languages. PHP code starts with <?php and ends with ?>. The PHP parser does not execute anything outside this code. Thus, a PHP file may have mixed content which has opened a lot of possibilities in the field of web development. Being an open source platform, PHP is in quite an advantageous position. Also, it is an elegant platform for newbies allowing them to test their skills and learn the dynamics of the web development industry. Since the language is free to all, it is a cost-effective alternative for over the proprietary applications as well as eliminates the legal issues. With this powerful scripting language, newcomers can enter the market quickly making space for new ideas and skills. PHP is quite simple; even a non-programmer can learn the basic coding skills in just a few hours. Most web developers acquire basic knowledge in HTML, making working on PHP an easy affair. Considering the learning aspect, other languages like Java, Python, etc. require an understanding of the commands, libraries, and Object-oriented programming concepts. However, in PHP, you simply need to learn a few syntax, and you can start practicing in minutes. PHP Books - For beginners who like to pick a book should use these recommended PHP books. PHP Tutorials Online - There are tons of PHP tutorials available for free. We have listed some of the good tutorials on this page. Beginners Interactive Learning Resources - These websites are absolutely awesome for beginners. 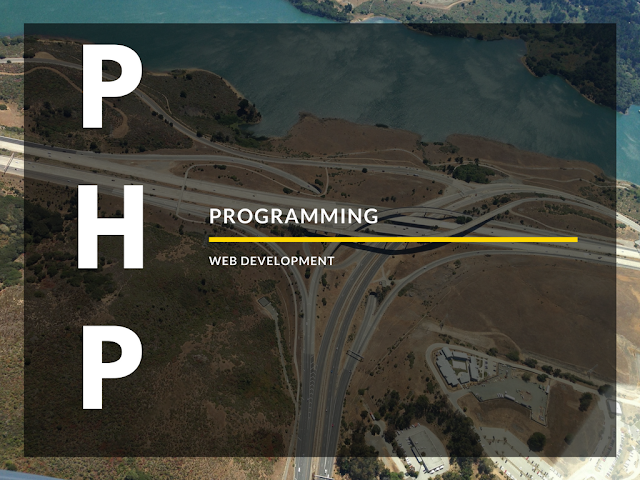 They offer interactive learning for PHP programming as well. One might call PHP amateur, but it’s the result that matters. PHP is dynamic in nature, offering programmers with the ability to approach their problems with every possible solution. Facebook runs on PHP. To meet their emerging demand, they developed a derivative language known as Hack. That shows the flexibility of PHP. You can meet almost all programming requirement using PHP. No doubt PHP is the first love for any web application developer. While other scripts require the programs to be compiled before reaching the execution stage, a PHP script does not ask for compilation. It is a simple 3 step process; Code, upload and watch. As simple as it may get, just write the script, upload it to the web server and witness the output on your browser. A language’s libraries can make a whole lot of difference. Libraries are a pre-coded set of instructions that aids communication between different platforms or applications, in turn simplifying the execution process and enhancing the processing speed of a language. With its ability of HTTP fetching, URL parsing, and supporting database drivers, the PHP libraries allow the language to work much higher efficiency. Compatible libraries allow the websites to load quickly, providing a pleasant user experience. After all, no one would like to sit back waiting for a website to load, especially when they are desperate to use the site. Popular web applications like the Wordpress, Joomla, Drupal, etc. are written using the PHP script. What makes this language so loveable is its scalability and robust architecture. One of the major advantages of using PHP or its application is that you can update the website without rebooting the server. So, write or update the code and upload the file to the server and the changes will be effective immediately. One’s ability to adapt and merge with the crowd makes them a favorite. PHP’s diversity with platforms makes it a desirable choice. This allows the developer to integrate the website on multiple platforms. Furthermore, an application written in PHP can be integrated with MySQL and Apache quickly without any limitations. 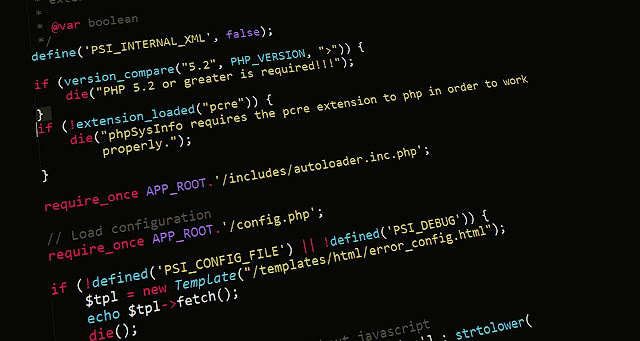 With the language expanding, occupying the internet; most of the internet traffic is operating on the PHP script. More and more websites are being added to this, and almost all of them are running on PHP. So, there is demand in the market; thus, the job prospects are good for a PHP programmer. Professionals with no background in technology find it easy to learn PHP and build an outstanding career in the IT sector. Availability of an adequate number of professionals encourages businesses to create websites and applications in the PHP due to the availability of easy and affordable technical support & maintenance. And the cycle continues. Not all businesses and programmers can afford to invest a lot into website development and maintenance. With PHP offering an open source platform, and cross-platform functionality, hosting a website got a lot cheaper. Almost all web servers can host PHP applications. Furthermore, the scripts being efficient and fast acting, maintenance costs dropped as well. Like any other open source platform, PHP has been subjected to many experiments by the sharpest brains that have resulted in the introduction of a lot of useful features. Programmers have created many libraries, extensions, and add-ons to simplify the coding process and enhance productivity. Thus, you can add great features and functionality to an application simply by using the existing add-ons. PHP is a fantastic platform to work and learn web development. It doesn’t matter if you are a professional or an amateur, a student or a business person; you can learn and use PHP to build a great web application. Not only the platform has expanded the domain of web designing, but it has also set new standards regarding ease and performance. There are numerous possibilities and endless opportunities to grow with this powerful tool at your disposal. Anthony Bergs is a project manager at writers per hour. He always keeps an eye on the marketing sector to implement the best innovations into the strategies that he builds. He’s always open for new connections and partnerships.